CD Genomics provides viral genome sequencing service within Illumina and PacBio Platforms. We can create high-quality de novo assembly of large viral genomes and highest possible data quality at low cost. CD genomics platform holds great potential for viral genome sequencing. 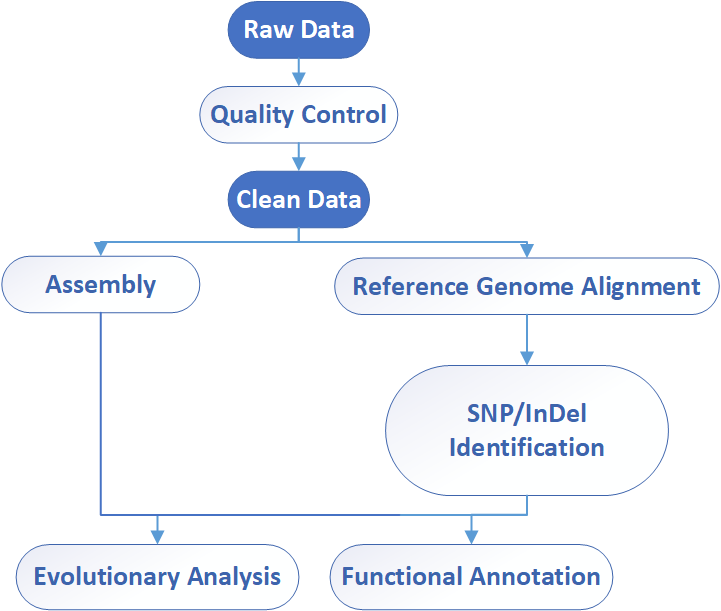 A comprehensive virus sequences will facilitate interpretation of viral metagenomics data by providing reference genomes, lead to a better understanding of virus diversity, ecology, adaptation and evolution, and enable the prediction of emerging infectious diseases caused by viruses. Viral genome sequencing is a fast and efficient method for research on viral replication, packaging, function of terminase, transcription regulation, and metabolism of host cell. CD genomics can deliver high quality sequencing data for your virus genome of interest. Contact us for assistance in configuring your project.